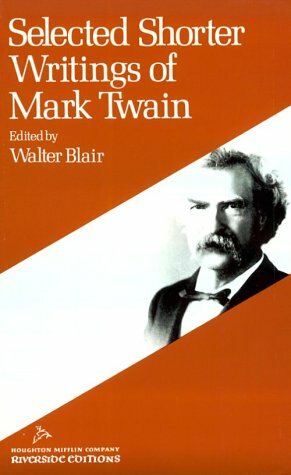 Selected Shorter Writings of Mark Twain was written by , Mark Twain, and Walter Blair. Selected Shorter Writings of Mark Twain was published by Wadsworth Publishing Company. Subjects of Selected Shorter Writings of Mark Twain include American English, Anthologies, Essays, Letters & Miscellaneous, Children's Books/Young Adult Misc. Nonfiction, Classic fiction, Education / Higher, Essays, journals, letters & other prose works, Fiction, General & literary fiction, Juvenile Nonfiction / Literary Criticism & Collections, Language Arts & Disciplines / General, Literary, Literary Criticism & Collections, Literary Criticism / General, Literature: Classics, Other prose: 19th century, Riverside Editions, Short stories, Short Stories (single author), Supplementals & Ancillaries, and Textbooks.